What a week! I feel like I’ve spent most of it worrying about Little M and visiting healthcare professionals with her! Obviously the highlight was on Wednesday night when we ended up at the out of hours GP in the middle of the night but the week started in the doctors’ surgery after Little M burned her finger on a piece of courgette (the doctor didn’t seem worried at all but ohhhh, the mummy guilt was strong) and ended with me constantly taking her temperature and administering calpol. Fortunately, by Sunday she seemed back to her usual self. This photograph was taken on Wednesday when we were having a bit of a chilled out morning. I’m trying really hard to improve my photography but the lack of natural light at this time of year means that I generally miss my window to take decent photos. I’m quite pleased with this one though, as I thought to take a photograph while the light was good. At least we’re moving towards the longer days so there will be more opportunities for good photographs – I just need to remember to take them! 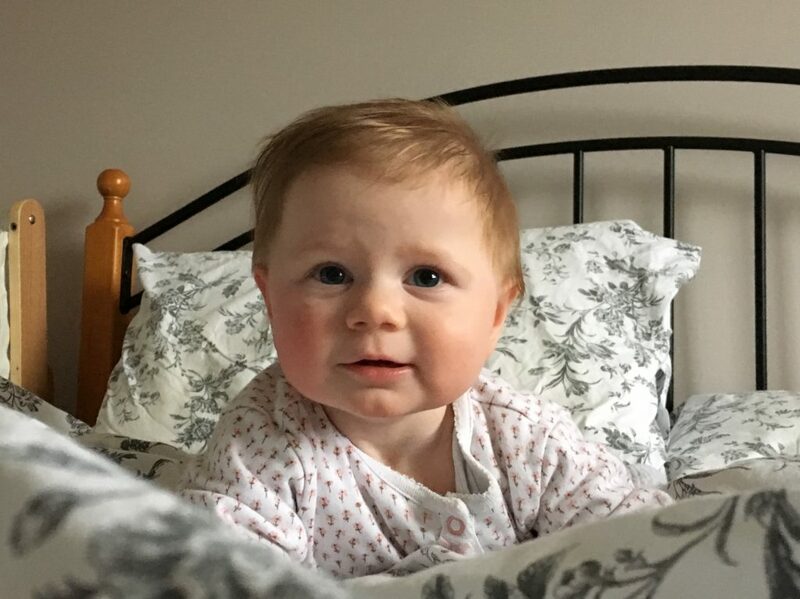 "Meet the Parents – Advice for New Mummies and Daddies from Savings 4 Savvy Mums"
"Worrying and overthinking with a poorly (but not poorly) baby…"